Chanit is a fine artist who studied at that National Academy of Fine Art and Design in New York City. Please go to her website, www.chanit.com, to see her People, Places, and Favorite Things! You can visit her studio to see her wonderful body of work. Or you can commission a piece for your home or a special occasion. 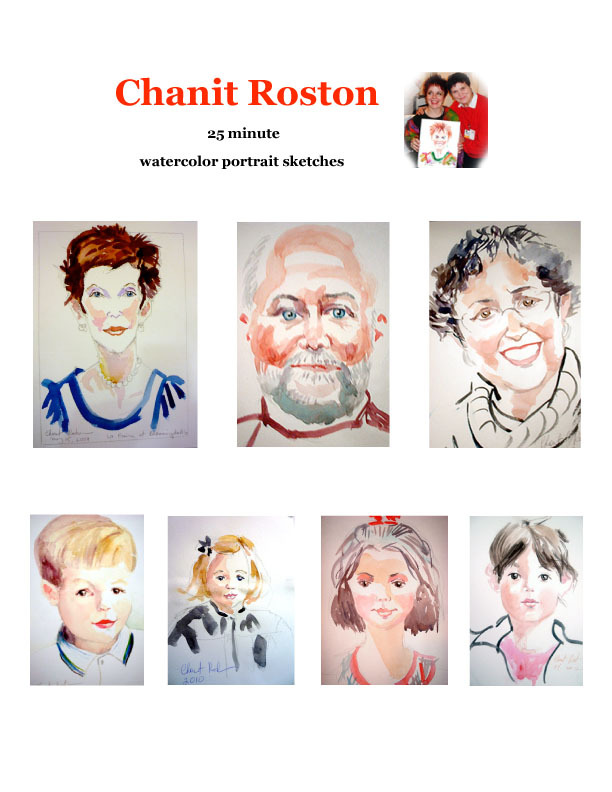 Chanit paints both watercolor and oil paintings of children which make wonderful gifts for the family! Of course she paints people of all ages, too!